With 7,200 square feet of beautiful new space, our Westport location is located on the Post Road just past Whole Foods. Stop by and take a look, we’d love to show you around! Stash Rutkowski PT, SCS is a Board Certified Sports Clinical Specialist and is certified in Active Release Therapy. Stash is a senior therapist with 18+ years of clinical experience and is the director of the Westport location. He graduated from the College of Charleston and went on to earn his Physical Therapy degree from New York University. 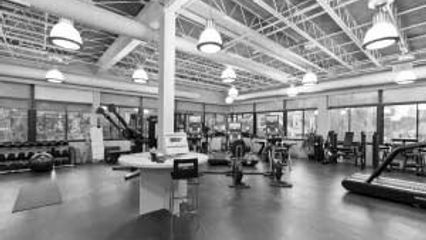 Stash has extensive training in hip pathology, and has trained with some of the top hip surgeons in the country. Olivia Bolen PT graduated from Sacred Heart University in 2015 with a bachelor's degree in biology and was a member of their biological honors society and the honors program. Olivia graduated from Sacred Heart's accelerated DPT program in 2017. Her clinical experience ranges from total knee and total hip replacements to experience with high level competitive CrossFit athletes. Performance is excited to have such a versatile Physical Therapist on staff. Muhammad Ali PT is a certified integrated dry needling physical therapist based out of our Westport location. Muhammad graduated from Sacred Heart University with a Bachelors in Exercise Science in 2014 and obtained his doctorate in Physical Therapy from Sacred Heart University DPT Program in 2017. While at Sacred Heart, Muhammad performed on the Division I Men’s XC and Track & Field Teams while also serving in the U.S. Army, in which he continues to serve even today as a Reservist. As part of his education, Muhammad completed a competitive residency-style clinical affiliation at Keesler Air Force Base treating active duty service members, military dependents, and government contractors with various musculoskeletal conditions. Muhammad has been accepted as an Orthopedic Resident in our program offered by Performance which begins this fall. Robert Mahlman DPT, is a Physical Therapist based out of our Greenwich office. Robert graduated from Sacred Heart University with a Bachelor’s of Science in Exercise Science in 2014, and then went on to earn his Doctorate in Physical Therapy with Honors from Sacred Heart in 2017. Robert completed his final clinical affiliation with the United States Air Force at Keesler Air Force Base where he worked with top military and civilian physical therapists to provide evidence-based care to our active duty military, veterans, and their dependents. Robert has also been accepted to Performance’s Orthopedic Physical Therapy Residency Program and will begin this fall.